DAT are pleased to be a partner in this exciting new TSA because we recognise that BDAT can be both a key delivery partner in the alliance as well as a client for some of the areas the teaching school will lead. For our strong schools the leadership and teacher development programmes which Eden CE TSA will offer will provide opportunities and training for our strong schools to share good practice across the city and hopefully enhance our recruitment and retention. For some of our historically weaker schools, we will be able to draw on the capacity and expertise of the Alliance to rapidly drive school improvements. 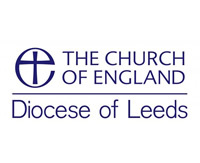 As a local Diocesan Trust we also entered the partnership knowing the clear ethos and vision of the Diocese would underpin the set up and final offer delivered by Eden CE TSA aligning it with the priorities and ambitions of BDAT.